We have started this so that the child is not deprived of the modern technology and does not become a robot.We focus on the values of discipline, general etiquette, human values, aesthetic sense, an appreciation and love of nature and an understanding of the power of prayer etc. 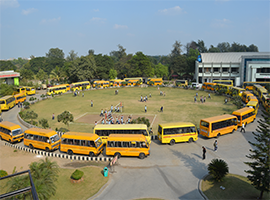 The School Campus over a sprawling eight-acres of land. The three storeyed building provides an exemplary ambience for different kinds of activities. Supported by the commitment and experience of the Shri Swaminarayan Mission, the school provides state of the art amenities and infrastructure. 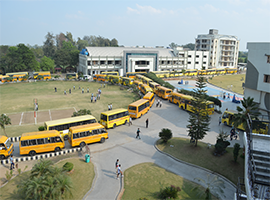 The building accommodates spacious and well-ventilated classrooms, Dinning and Prayer halls equipped with latest sound and light systems, separate senior and junior wings and well equipped science, maths, and computer labs. The infrastructure also comprises multihued nurseries for the tiny-tots transforming their innocent childhood into a wonderland of innovation and exploration. 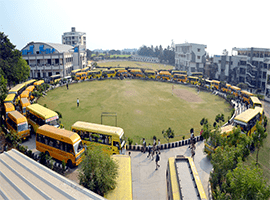 A proper cricket ground for training in cricket, Basket Ball court , Volleyball ground, a swimming pool, skating rink and provision for other activities have been made for the multi faced growth of the students. The entire school is divided into four houses. Each house has a house master / mistress, house captain, vice captain and prefects. The school is well equipped with books, magazines acting as a comfortable and ideal platform for self study. 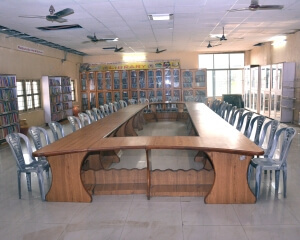 It also has a variety of resource materials like educative and informative dailies, an extensive collection of more than 5000 books, magazines, periodicals, national and international journals, compact discs and audio video media which help the students to satisfy their curiosity to explore the world of knowledge. Children are guided and helped by the librarian to select and pick the books of their interest. Students have access to reading material. Our Pre-Primary classes are accommodated in a separate ’Story Telling Corner’ and senior students enjoy a blissful reading atmosphere in a complete ‘Silent Zone’. 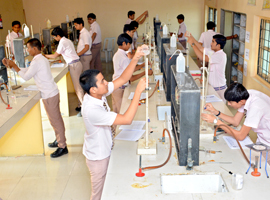 Science Laboratory is a place where experiments are conducted and practical knowledge is provided to the students of our school. 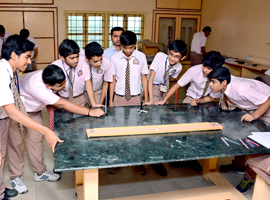 Our science has an accommodation facility of 40 students. 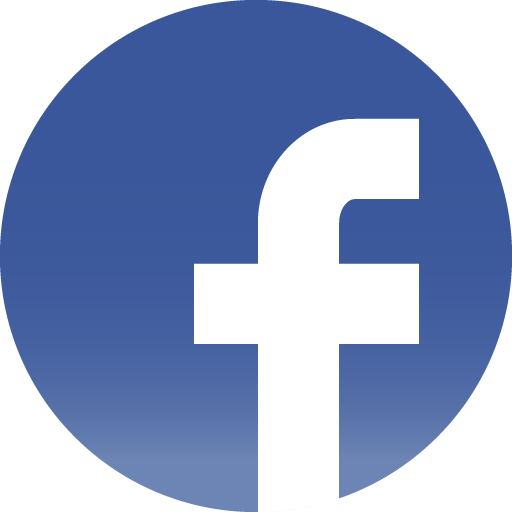 It is well-equipped with all types of instruments, gadgets and specimens. It is well-furnished and ventilated. 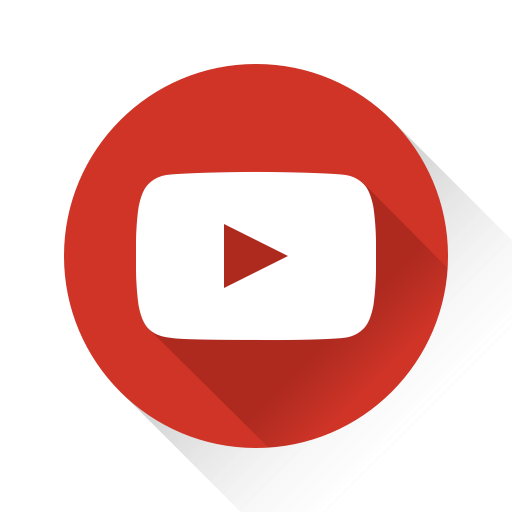 Aims at fulfilling the essence of "Learning by doing"
A Math lab has been set up in order to make mathematical learning interesting and interactive. The laboratory is equipped with materials needed to help the students to form concepts through meaningful and relevant activities. 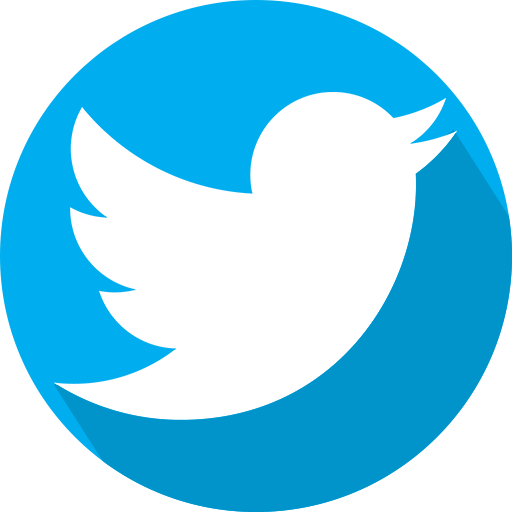 It helps to develop and strengthen awareness, appreciation and enjoyment of Mathematics. Our school's computer lab possesses 36 computers. 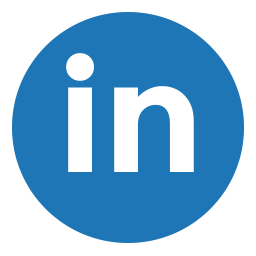 Each student can perform practical individually. Our school's computer lab has accommodation of one student to one computer. Explanations & practical demos are done via a projector. 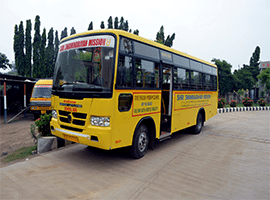 It is very well furnished with comfortable sitting arrangement and well-ventilated. 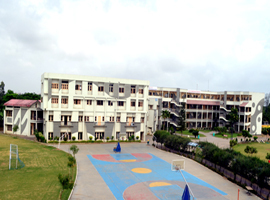 Ghanshyam Hostel situated in the pristine lash green ambience of Shri Swaminarayan Mission School. 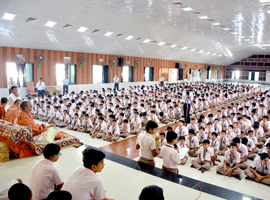 Lord Swaminarayan, the Anchor of Life Children take transcendental pleasure in hearing VishwaPrakash Dasji Swami and chanting glories of the Lord Krishna. 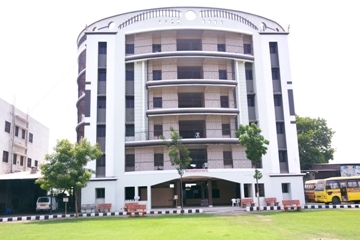 We provide Ultra Modern Hostel Facilities from classes 5th to 12th. Each Room & Dormant ensures homely comfort. Each child is personally taken care of by a mentor. Individual study table, bed and wardrobe is provided to every child. Modern well equipped and hygienic kitchen. Spacious and comfortable dining hall. Fresh air to play, plenty of opportunity, delicious nutritious food is our commitment. Well maintained grounds for each games. First Aid Facility is Available on the campus. Special doctor visit the school periodically and is available on calls. The moment one enters the prayer hall, the guiding light showers the blessing upon the noble souls and the eyeballs are glued to the enclosure of Lord Swaminarayan, one can’t resist to admire the sparkling deity. The students start their daily routine with holy Arti of Lord Ghanshyam Maharaj and perform their personal Pooja in front of the captivating idol of Lord Ghanshaym Maharaj in the Prayer Hall. After the evening prayer, the Saints sermonize the students about the moral upliftments and glorify our Indian scripts and cultures. 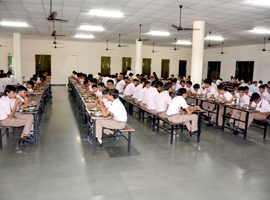 Dining Hall is equipped with the state-of-the-art facilities to accommodate 1000 students at a time. Functioning of mess is monitored by a group of staff from administration, facility, and students by forming “MESS MONITORING COMMITTEE”. 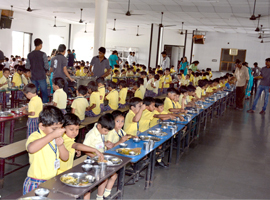 The students enjoyed nutritious and healthy diet every day. As it is said in above Shloka that without music human has a life without soul. If our school is the body, Music is its soul. Shee Swaminarayan Mission is giving equal weightage to music with other academics. Our school provides training of various musical instruments with vocal music. The school aims at the all-round development of the child by providing activity-oriented teaching where learning becomes fun and an enriching experience. The Rooms are the hub of all art, craft, music, dance and other such activities.